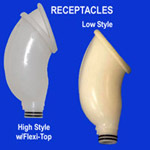 PLEASE NOTE: The Afex™ Incontinence Management System is required to use this product! For more information, click on the Afex™ Incontinence Management System's picture located on the right side bar. The Afex™ Leg Bag with Leg Wrap is the perfect combination for both men and women, offering piece of mind and assured confidence when incontinent. It's comfortable to wear and stays securely in place with two extra wide adjustable straps, making participation in any high level activity worry free from embarrassing leakage. The Leg Wrap is made of a breathable mesh that helps prevent skin breakdown and skin irritation. 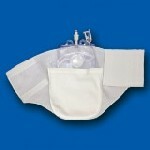 It features a convenient pouch to hold the Leg Bag in place and separates the bag from the skin. Wearing the wrap and bag on the inside upper thigh area makes it virtually unnoticeable. The double-sealed Leg Bag holds up to 40 ounces and has a built-in drain handle for quick and easy drainage. The bag easily connects to and disconnects from the Afex™ Extension Tube, required for use with the Leg Bag. The Leg Bag easily separates from the Leg Wrap when needed and both can be purchased separately. The Leg Wrap is available in white or black to blend with clothing and is machine washable. 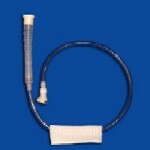 For more information about the Afex™ Extension Tube, click on the its link to the right. AFex Boxer Briefs are an integral part of the Afex Urinary Incontinence Management System. 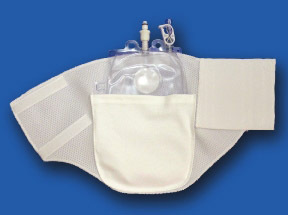 The briefs hold the Afex Receptable and collection bags in place without the use of condom catheters. Designed for use with the Afex™ Receptacles, Leg Bag and Bed Bag. These components work together to provide the utmost in comfort and the perfect solution for male incontinence overnight protection. Eliminates the need for adhesives and external condom catheters by offering a new, more comfortable way to wear incontinence protection.